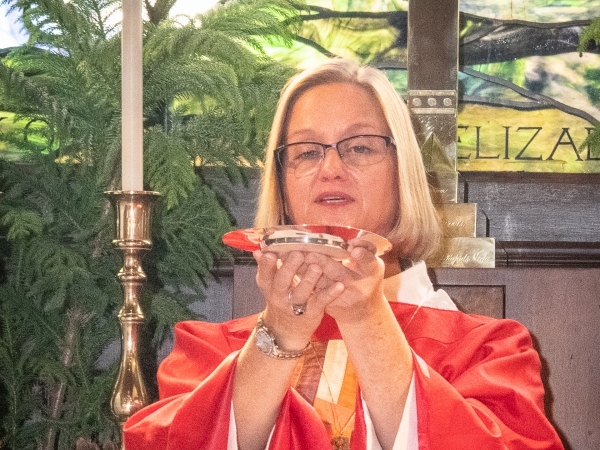 Bishop Mary Gray-Reeves, 3rd Bishop of the Diocese of El Camino Real, visited St. Mary’s on December 9 for the last time as our Bishop. She will retire as Bishop in 2019 once a new Bishop has been chosen. 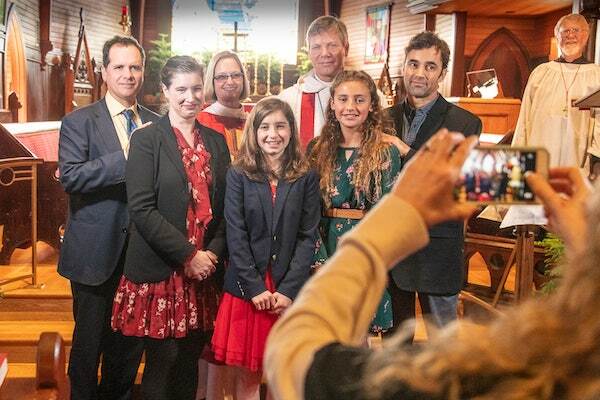 On Sunday, Bishop Mary confirmed 6 candidates (John and Charles Pellegrin, Susan Elliott, Sharon Tiner, Norah Schramm, Nina Hubrich) and received 1 person (Ron Garcia) into the Episcopal Church from another denomination. 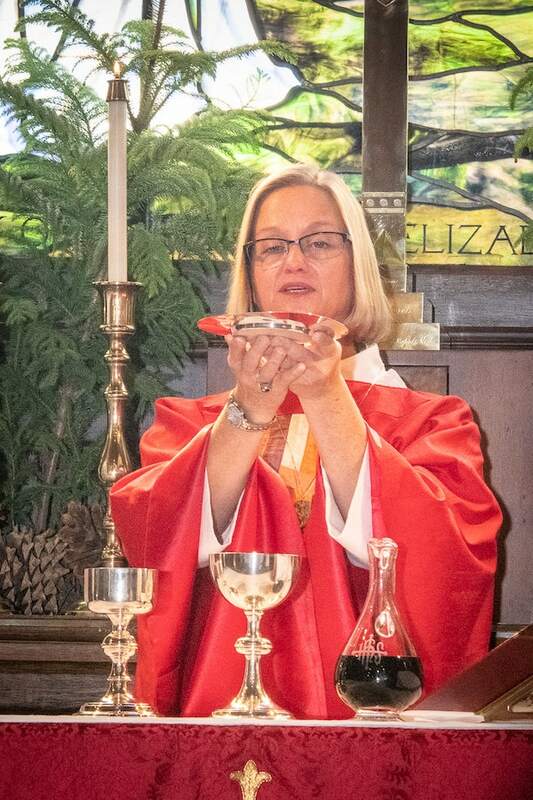 In her sermon, she spoke about the satisfying relationships she has encouraged between our Diocese and the Diocese of Gloucester in England and the Diocese of Western Tanganyika in Tanzania. 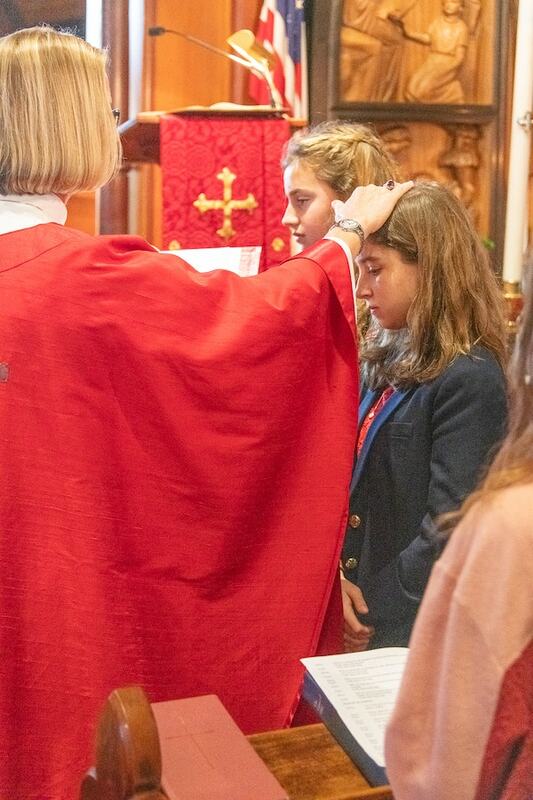 These partnerships between such different peoples–nevertheless united as Episcopalians–were thought to be unlikely to succeed, until we proved they could be established. This episode captures Bishop Mary’s grace under fire, her humor, her quick wit, and her wonderful spirited and spiritual presence. 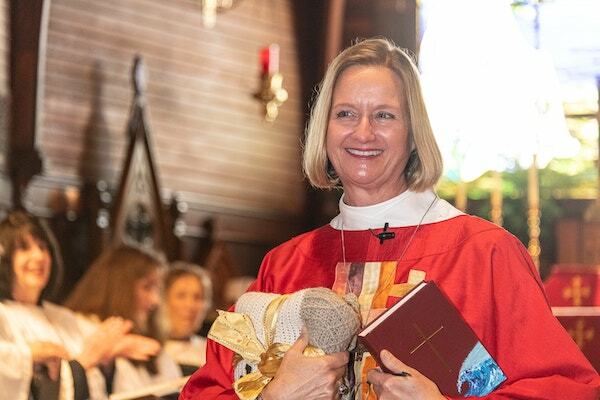 She has been a blessing to the people of this Diocese and we will miss her very much, even as we welcome the new bishop to come.